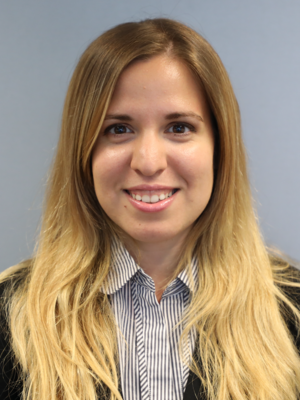 Emma Kollatou joined FleishmanHillard’s Brussels healthcare team in May 2018 from the EU Affairs office of Pantarhei Corporate Advisors in Brussels. Emma supports clients in the healthcare, pharmaceutical and medical device sectors and works on a range of topics including Intellectual Property incentives and Health Technology Assessment. Before Pantarhei Corporate Advisors, Emma spent six months as a trainee at the Health and Food practice of Burson-Marsteller in Brussels. Emma was also a member of the Vaccines Initiative Committee of the European Health Parliament. Emma studied Law at Aristotle University of Thessaloniki in Greece and holds a Master of Arts in European Political and Administrative Studies from the College of Europe in Bruges, Belgium. A native Greek speaker, she also speaks fluent English, French and German.